Being anxious during dental visits is common. People often feel this way, and they may find ways to avoid scheduling dental appointments. What they should expect however is, if they continue to disregard dental appointments their conditions may worsen. Neglect of anything that has to do with a person’s health may lead to several conditions. These conditions may even require intensive or extensive treatments to be corrected. At Avalon Dental Group, we understand that some patients will require special needs. It may be due to their severe gag reflex, anxiety, discomfort, or fear. Whatever the case may be, we provide Sedation Dentistry for patient’s to receive their much needed dental attention. Sedation dentistry is performed by a dentist to induce the feeling of calmness and comfort to a patient during dental treatments. Its primary focus is to provide a much excellent service to patient’s who usually feel fear or discomfort. These factors can get in the way of patient’s to receive the necessary treatments they need. Dental treatments are vital for the maintenance, diagnosis, prevention, and restoration of the patient’s overall dental health. There are even other dental complications which can affect a patient’s overall health and wellness such as gum disease, sleep apnea, TMJ, and others. Nitrous Oxide known as Laughing gas is a type of sedation which administered through the use of a mask placed over the patient’s nose. The gas used is colorless, safe, nonflammable, while giving off a sweet scent and taste. The procedure is considered to be safe since, during its administration, Nitrous oxide is mixed with oxygen which can guarantee its proper delivery and safety. It takes effect a few minutes after the patient has inhaled the gas and it will be continuously inhaled throughout the procedure to ensure the patient’s overall comfort and relaxation. Depending on some factors the level of sedation can be increased by adjusting the amount of gas that is being administered. Oral sedation as its name implies is a type of sedation where the patient is given medication (usually Halcion) an hour before the scheduled appointment. Once it has taken effect it could provide a relaxing and calming feeling to the patient; then the dentist can proceed with the treatment. Depending on the type and number of procedure to be performed the dentist can decide the dosage to be given to ensure the lasting effect of the sedation. 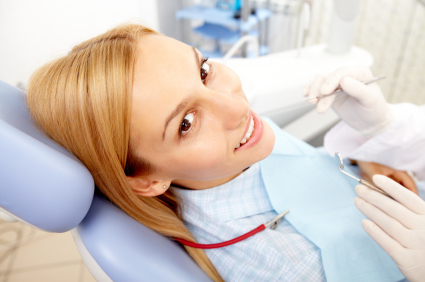 Sedation Dentistry is highly beneficial for anyone who needs to receive treatment but is too afraid to do so. It can help in assuring the patient’s feel comfortable and relaxed throughout the whole procedure even if they are awake. If you want to own a fresh, youthful, healthy, and beautiful smile but too afraid to undergo dental treatments, then Avalon Dental Group is here for you. Check out our Sedation Dentistry service in Sugar Land, TX. We are located at 2205 Williams Trace Blvd, Suite 108 Sugar Land, TX 77478.